U.S. and Turkey resumed full visa services after stopping them in October. The U.S. and Turkey have resumed full visa services for the other country after a months-long dispute, ABC News reported Thursday. In October, the U.S. mission in Turkey reduced visa services in response to a U.S. mission employee being detained in Turkey. Services were partially restored at the start of November. 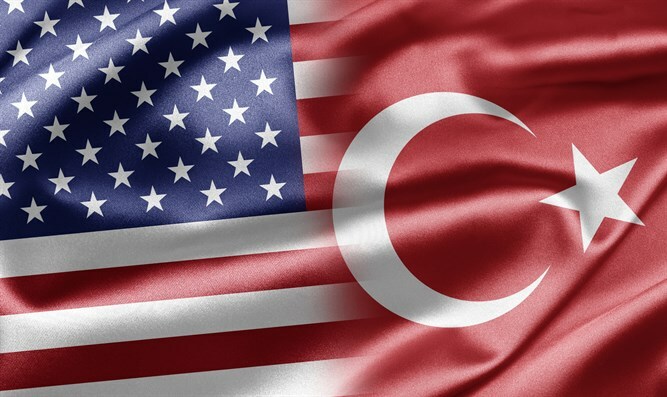 The U.S. said in its announcement on Thursday of a "full resumption" of visa services at its missions in Turkey that the government of Turkey had given and adhered to "high-level assurances" that no local employees are under investigation and would not be detained or arrested for doing their official duties or without prior notice to the U.S. government. Turkey, in its own statement, denied that such pledges were ever made. "Turkey is a state of law, and ... that our government has not provided any assurances concerning the ongoing judicial processes," the Turkish embassy in Washington said, according to ABC News. "It is inappropriate to misinform Turkish and American public that such assurances were provided." The U.S. mission employee who was arrested was the second employee detained by Turkey for purported ties to Fethullah Gulen, a cleric blamed for last year's failed coup attempt in the country. Gulen currently resides in exile in the United States. He leads a popular movement called Hizmet and split from President Recep Tayyip Erdogan over a corruption scandal in 2013. Erdogan has long accused him of running a parallel state from abroad. The U.S. still has "serious concerns" about the two employees' cases, the State Department said, but will work with Turkey "to seek a satisfactory resolution." Relations between the U.S. and Turkey have been souring for several years. Turkey has expressed outrage over U.S. support for Kurdish groups battling the Islamic State (ISIS) in Iraq and Syria. The U.S. has been arming, training, and supporting the Syrian Democratic Forces in Turkey's southern neighbor Syria, and the strongest element of that group is the YPG, a Kurdish group with ties to Kurds in Turkey, including the PKK. The U.S. makes a distinction between the YPG and the PKK, but Turkey does not. In recent weeks, Erdogan has increasingly attacked U.S. President Donald Trump over his recognition of Jerusalem as Israel’s capital. Erdogan warned the United States not to recognize Jerusalem as Israel’s capital, or to move its embassy in Israel to Jerusalem, saying that any change to the status quo vis-à-vis Jerusalem would constitute a “red line” for Muslims.